Moving…..yes, it’s a daunting task. But this move is a celebration…a bittersweet really, closing one chapter to start another. It’s rare that you find that special someone in your life that you can share everything with, even the same bathroom sink! This move was one that I was very excited about, looking forward to for awhile now. I have found that special person that makes me smile everyday, cooks with me, inspires me, loves me for who I am- faults and all! It’s very rare these days when you find a person that can be your best friend, your lover, a shoulder to cry on…. I could go on and on, but I will let you fill in the rest. You know what I’m talking about, the one! You wake up and roll over and realize you are next to your best friend, a big smile comes across your face, and everything is right in the world. You look forward to coming home after work and sharing a glass of wine, while making dinner for the two of you, listening to one another as the day unfolds. It doesn’t get any better than that my friends! So we decided it was time to make our two places into one. And while moving his and hers together, well a Bittersweet came to mind. 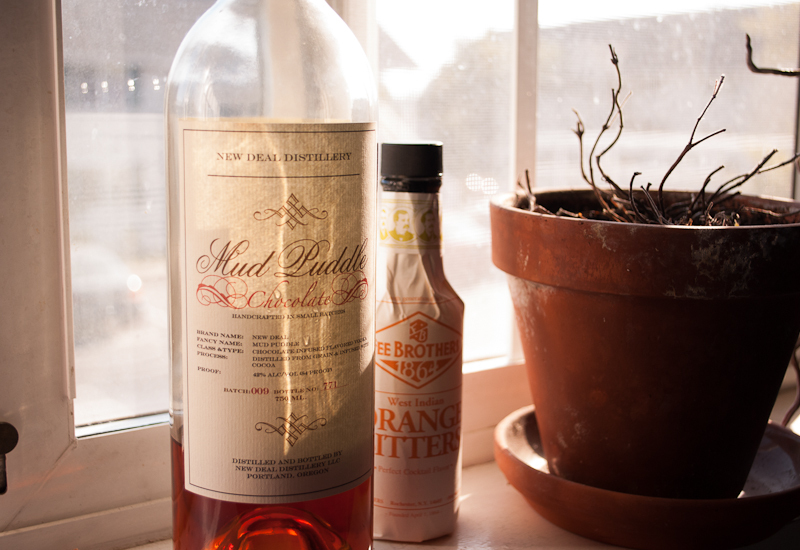 Yes it’s very sweet to start the next chapter, but also a little bitter to leave all those memories behind, whatever they may be…..
On one of our adventures in Portland, we stopped at New Deal Distillery last Spring and fell in love with their Chocolate Vodka! Yes…Chocolate…so smooth and creamy, finally a “grown up” version of some chocolate with a big kick! 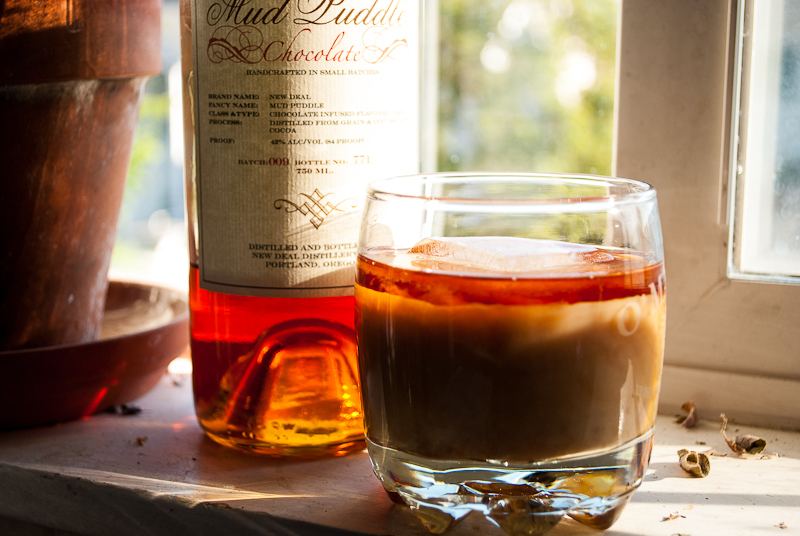 Throw in some milk, coffee liquor and bitters over some ice, and ohlala….kick back and enjoy an “adult chocolate milk drink”! 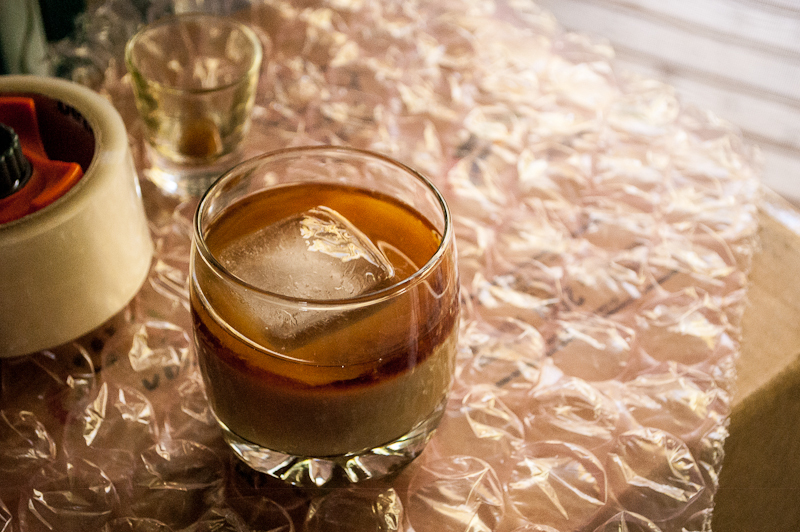 One BIG ice cube makes the difference in a watered down drink and a cold one! Cheers my friends, to happiness and loving life! 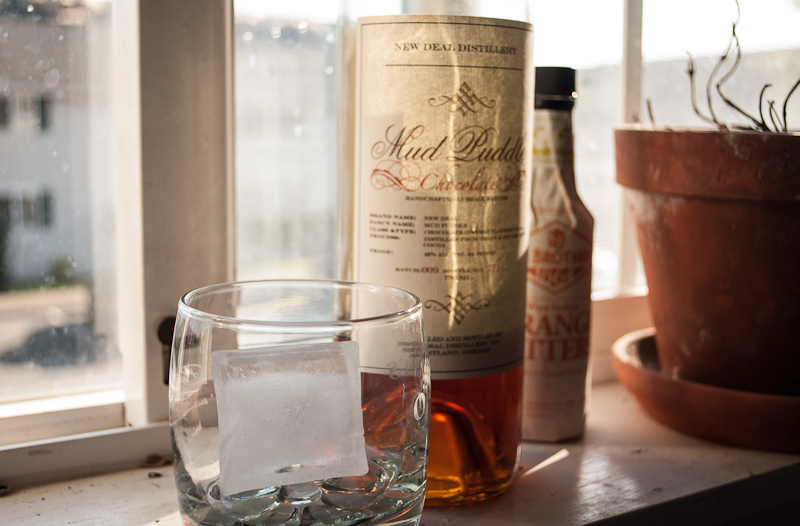 Pour liquor over ice in glass, then add milk and top with bitters. Stir and enjoy!